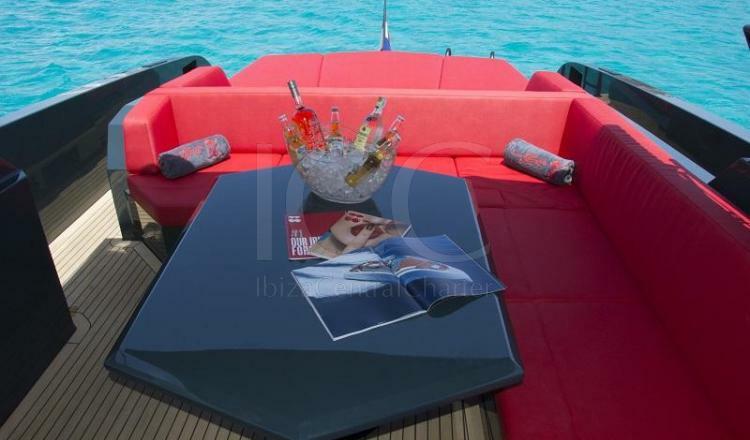 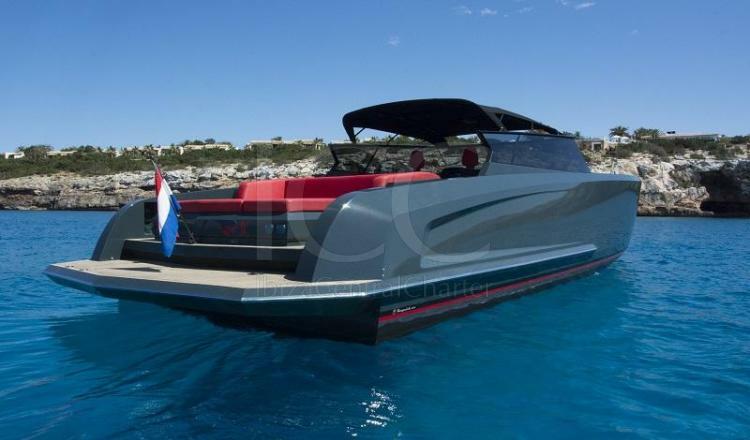 Luxurious Vanquish VQ48 yacht for 12 people in Ibiza. 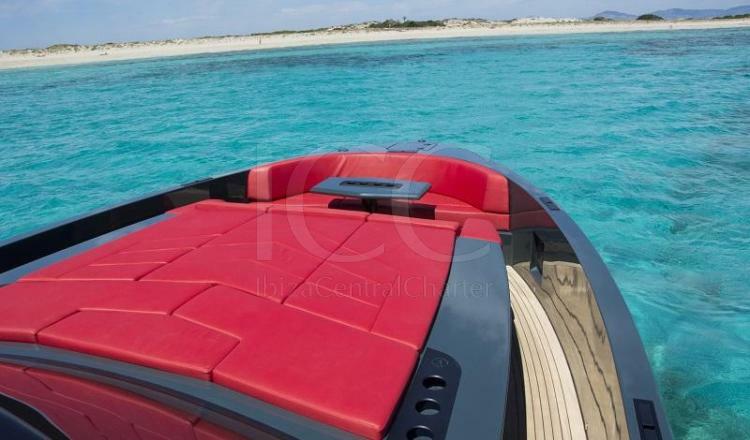 Luxury, design and innovation are the concepts, certainly a Vanquish is not for everyone. 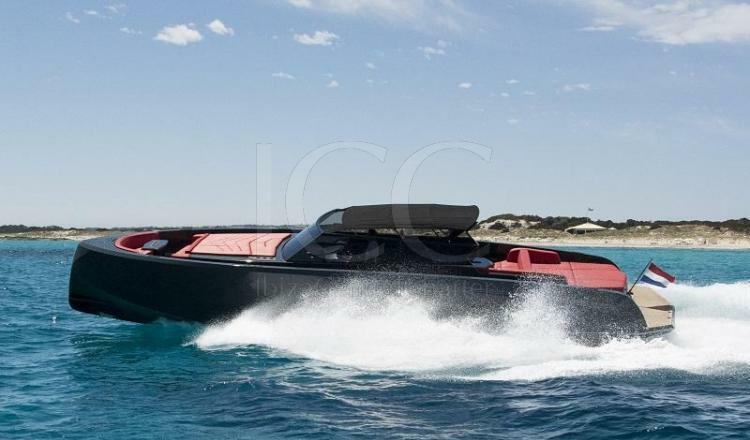 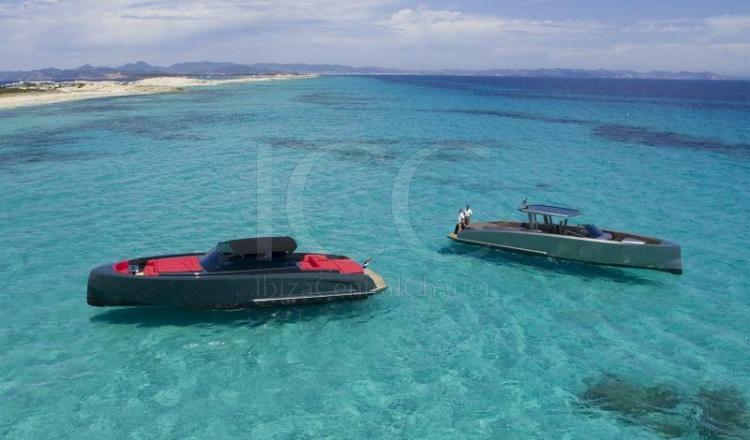 The VQ48 is Vanquish flagship open sports boat, made famous for her unerring capacity to keep passengers dry at all times; high and low speeds, quiet and rough seas, strong or light winds. 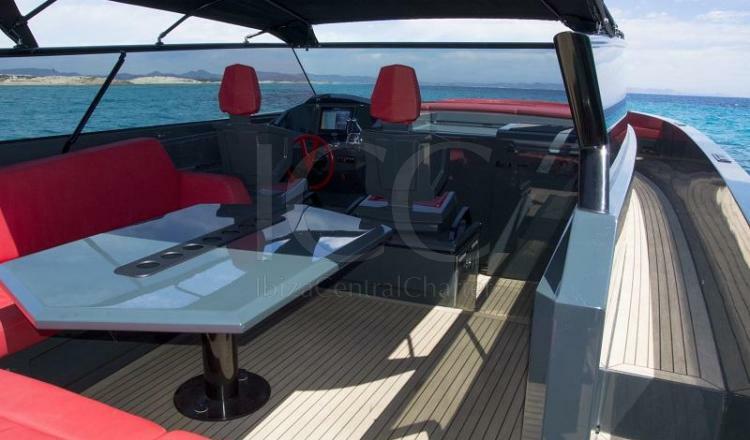 The design merges features from previous success stories like a smaller foredeck version of the dinette from the VQ50 and the sun beds on the VQ43. 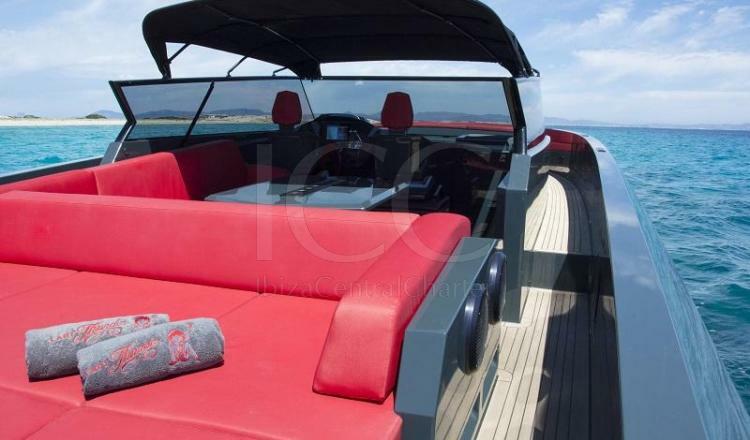 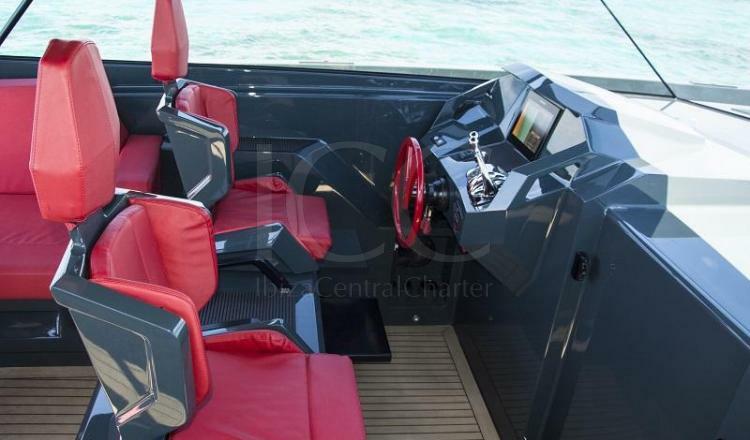 Other highlights include two specially developed helm seats, a large loung settee and a ingenious convertible top with a clever bimini solution. 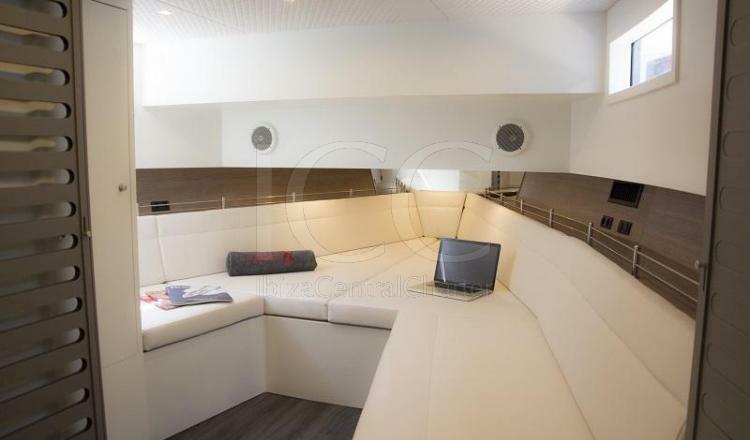 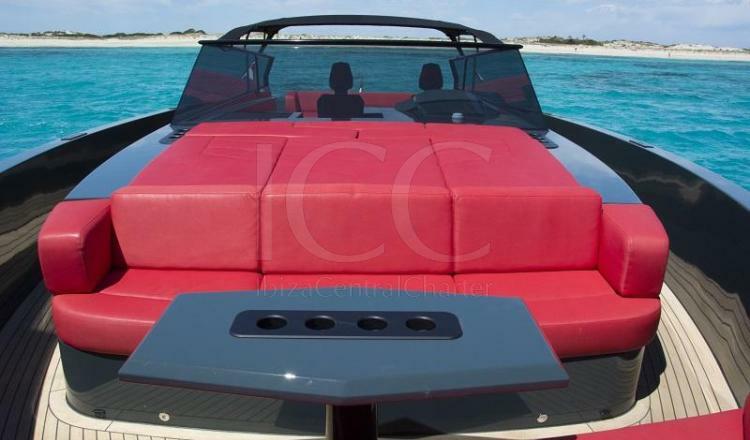 Space was central line to the designe of the VQ48, provides 19 sitting or lying places. 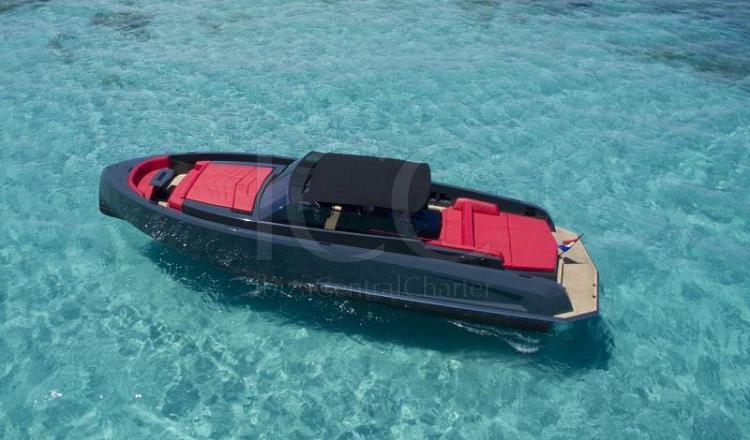 However its capacity for a charter day is 10 people, certainly enjoy the boat, the sea and the islands will be a simple and fun task. 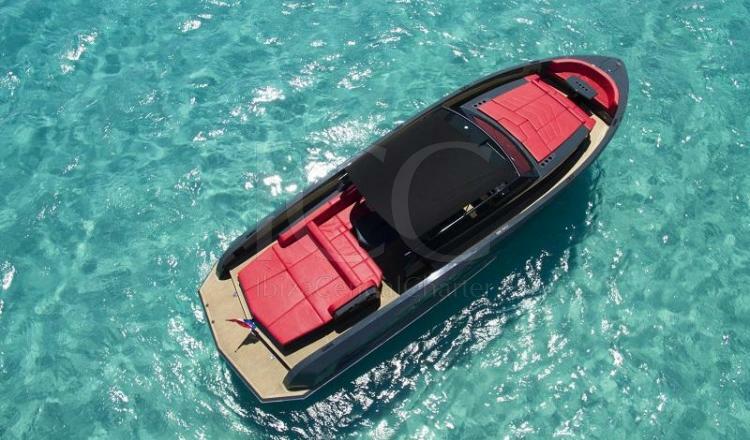 VQ48 comes equipped with a Seabob F5S for people who like fun in the water.